In recognition of the importance of the educational role of the department, Scott created the PIE team to develop innovative, interactive online teaching aids to assist anesthesia staff in training the residents and Fellows in Cardiac Anesthesia. As Clinical Director of the PIE team, Scott has provided financial support for this initiative through the R. Fraser Elliott Chair in Cardiac Anesthesia and as principle investigator on a peer reviewed grant from the PSI Foundation. His guidance and mentoring of the team members is critical for their success, and the results of this success will enhance the teaching provided by anesthesia educators to trainees around the world. Willa graduated from the University of Toronto with a Masters degree in Biomedical Communications in 2006. She is interested in interface design, Edward Tufte, and Adobe Flash. Currently, she is working on the development of web-based medical simulations for the Perioperative Patient Simulations section of the Cardiac Anesthesia website. Michael is a medical illustrator, animator and web developer. He is currently working on new educational modules for the Virtual TEE website. In addition, Michael lectures at the University of Toronto where he teaches courses on surgical illustration and new media development in the Biomedical Communications graduate program. Jodi graduated from the University of Toronto in 2008 with a Masters degree in Biomedical Communications. While completing her degree she started development of the Virtual Liver website. Her current projects include the Ultrasound Guided Regional Anesthesia module for the Virtual Spine website and development of the Virtual TTE website. As a cardiovascular surgeon, Chris has worked closely with the anesthesiologists at UHN, both in the operating room and in the management of patients in the Intensive Care Unit. In the educational field, he has been a regular participant in the annual TEE symposium organized by Dr. Vegas, and has enthusiastically supported the interactive online educational initiatives of the PIE Team. He has a special interest in the Virtual Cardiac Valves module and is the principle investigator of a grant application to the Association of Surgical Education. His extensive surgical experience will be invaluable for guiding the development of this teaching aid. He has also provided bridge funding for this project using money generously donated by grateful patients over the years. Albert graduated from the University of Toronto with a Masters degree in Biomedical Communications in 2010. His Masters Research Project involved creating a 3D computer animation describing the Axillary Lymph Node Dissection procedure. He is also responsible for creating educational surgical videos and animations for the Toronto Video Atlas of Liver, Pancreas and Transplant Surgery. Paul graduated from the University of Toronto with a Masters degree in Biomedical Communications in 2011. His Masters Research Project was a visualization of mild traumatic brain injuries. Along with Albert, Paul creates educational surgical videos and animations for the Toronto Video Atlas of Liver, Pancreas and Transplant Surgery. Jean graduated from the University of Toronto with a Masters degree in Biomedical Communications in 2014. Her Masters Research Project was a patient education animation on visualizing underlying mechanisms and treatments of chronic low back pain. She is currently working on the development of the Point of Care Lung Ultrasound module. Man-San graduated from University of Toronto in 2014 with a Masters degree in Biomedical Communications. While obtaining her undergraduate degree in Environmental Sciences, Man-San merged research and artistic skills to illustrate for her research thesis on drosophilids. Notable achievements include her publication of an interactive identification key to stink bugs and her animation on TLR-4 signalling. Currently, she is working at PIE to produce patient education media. .
Stuart has a major interest in fluid management and blood conservation during surgery and post-operative care. He is involved in the development and integration a number of the PIE projects (fluid management, control of blood pressure, and Perioperative Patient Simulation) to assist in teaching and learning appropriate transfusion therapy. This entails synthesizing the current research to produce evidence-based protocols, and creating innovative educational tools to engage educators and trainees in adopting best practice. Patient simulations will then allow users to put this knowledge into practice and receive feedback on the outcomes of their interventions. Max is the Director of Perioperative Echocardiography and is currently overseeing creation of teaching modules focusing on Transthoracic Echocardiography (TTE). In addition, Max has provided clinical input into the design and algorithms underlying the Perioperative Patient Simulation project, and the assessment of its face and content validity. Joy graduated from the University of Toronto in 2013 with a Masters degree in Biomedical Communications. She enjoys creating clean illustrations and animations with a modern aesthetic. Her background in immunology led her to pursue a Masters Research Project in the field: developing a 3D animation to visualize the role of macrophages in neuropathic pain. Together with Albert and Paul, Joy creates educational surgical videos and animations for the Toronto Video Atlas of Liver, Pancreas and Transplant surgery. Tabby graduated from the University of Toronto with a Masters degree in Biomedical Communications in 2010. She has a keen interest in educational game development and new media design. Currently she is developing the Virtual Interactive Case System. She also maintains the PIE website. Gordon has had a life-long interest in E-learning. Early work in pediatric critical care included simulations of postoperative cardiac patients and patients requiring respiratory support with a ventilator, and later managing the development of Child Physiology, a Web site for teaching parents of pediatric patients how the body works. Current projects involve the development of online teaching aids in perioperative medicine, managing a team of four biomedical multimedia artists and fielding projects for several Masters students in Biomedical Communications over the years. 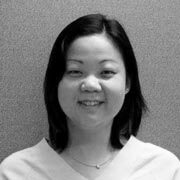 As Education Coordinator for TEE, Annette is responsible for TEE training in the department of Anesthesia at UHN. In this role and her previous role as Director, she has developed a Perioperative Transesophageal Echocardiography manual which is used at UHN by postgraduate Fellows in Anesthesia and Cardiovascular Surgery in interpreting TEE and organized an annual Perioperative Transesophageal Echocardiography Symposium in collaboration with the Division of Cardiovascular Surgery at UHN. This experience has led to the recognition of a need for interactive Web-based teaching material to supplement these training in TEE. She is the principle investigator on two peer reviewed grants which provide support for the Virtual TEE project. Frances is a biomedical multimedia artist with an MSc.BMC degree in Biomedical Communications from the University of Toronto. While at U of T, Frances developed an interactive, three-dimensional module of cardiac embryology from tube formation to atrial septation. The three-dimensional models combined internal, external, and cellular information. She continued to make additional sections, including septation of the great vessels and development from a fetal heart to a fully developed adult heart, during her time with PIE. All contents copyright © 2007-2012 University Health Network. All rights reserved.